Only 1% Of Trumpet Players Learn The Right Way From The Start! It's scary but sadly true! 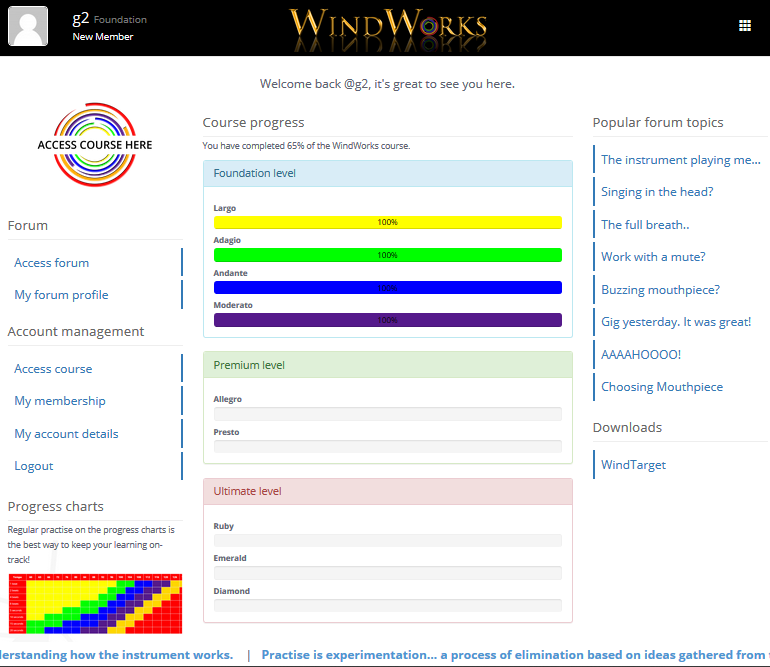 If you wish to start your FREE WindWorks Largo Status Stage Course immediately, SIGN ME UP FAST. The Largo Status Stage Course has 3 Hours of groundbreaking content that you can do now or over the next 7 days. Existing MTM customers are eligible for FREE lifetime access to the Largo Status Stage. Please turn up your speakers and listen to this free video explaining many important things you need to know about your playing development and mistakes to watch out for. The Largo Status Stage 3 Hour Course is completely FREE! The WindWorks approach is simple, logical, scientifically researched and it works... and we want you to be part of it. With over 800 signed-up and satisfied users in just the first 12 weeks, it's time for you to take your playing to the next level. Fear Factor Forcing ...and heaps more, then you haven’t really experienced Mystery to Mastery. This is the coolest part of WindWorks! You can start changing your approach anywhere, anytime. Yes, the Singing C Series is unbelievable, but to learn to do it correctly, you can do the mental reprogramming and sensation development ANYWHERE. Listen to and/or watch the videos wherever and whenever you like. A frustrated professional player looking to get more satisfaction from playing. You are about to discover where your limitations lie, how to improve if you are struggling, and how to overcome your barriers to playing with ease. This new and exciting approach will surprise and excite you, just give it a go. Watch this short video to see how you will develop your skills in the Foundation Level. For almost two decades, Greg Spence has been helping players like you smash through and conquer what was holding them back. Now his latest material is taking the brass and wind playing world by storm. BE PREPARED TO BE SHOCKED! the revisited updates to his most recognised videos - The BackSwing, The SlingShot, The Mouthpiece, The Leadpipe and SHAPE. the new approaches like - The Body's Concert Hall, Passive Reduction, aRRRRticulation, FEAR FACTOR FORCING and many, many more. >>> new multi-level online learning platform<<<. Now you can get help 24/7 to make your own breakthroughs, on your own time ... and it doesn't matter if you're an absolute beginner or a seasoned pro. 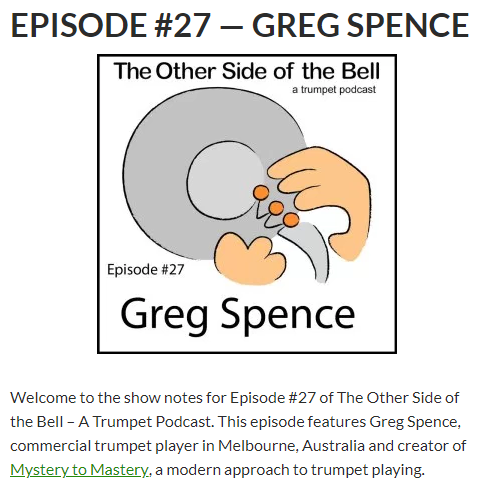 If you're here because you've clicked through from the Bob Reeve's Trumpet Podcast ("The Other Side of the Bell") Episode #59 featuring Phil Smith, then we want to extend you an extra special welcome and say thank you for dropping by! A special thanks to John Snell and all of the guys at Bob Reeves for their on ongoing support. Make sure you check out their fantastic mouthpieces and be sure to get a valve alignment done on your instruments. 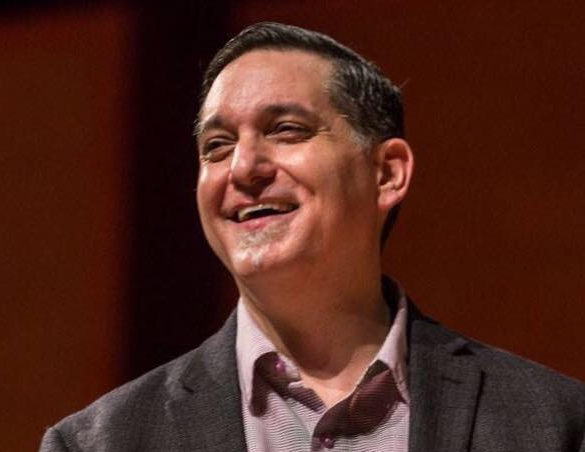 Greg was very excited to hear that Phil Smith spoke at the University of North Texas and spoke highly of the Mystery to Mastery approach and how beneficial it was for him as part of his rehabilitation from Focal Dystonia. Try WindWorks for a week on us! 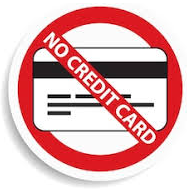 (and take advantage of the MTM Guarantee). Step 1: Sign up quickly and easily below and enjoy 7 days FREE ACCESS to the extensive Largo Status Stage. Great news: If you're an MTM eBook user, you'll get free unlimited access to the Largo Status Stage. Step 2: If you choose to become a fully paid subscriber, we offer a full 1oo% Satisfaction Money Back Guarantee. Bottom line is we want you to totally love it. Simply the most interactive and fun way to break through your barriers. You will have never experienced a program like WindWorks, guaranteed! The Singing C Series will blow your mind! Sign up below to get 7 days of FREE ACCESS to the first learning module, the Largo Status Stage of the WindWorks course; you don't even need to use a credit card. MTM eBook members get lifetime access to the Largo Status Stage. NEW MTM USERS - Please enter your best email address so you can receive your confirmation link. You must click it in order to start the course.